If you’ve heard about Linux, then there’s a good chance you’ve heard about Ubuntu. It’s the most popular version of Linux for desktop PCs. 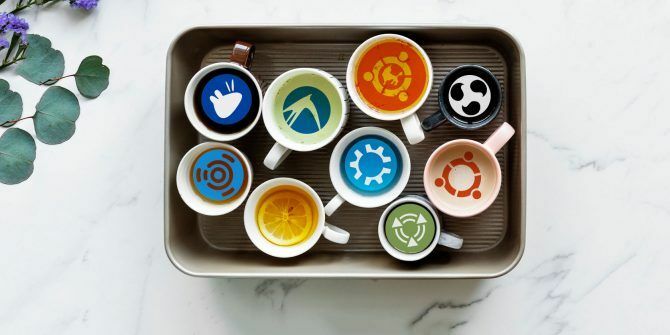 But did you know Ubuntu comes in many different forms? Since Ubuntu is an open-source project, anyone is free to take the code and produce a similar desktop of their own What's the Difference Between Ubuntu and Ubuntu-Based Distros? 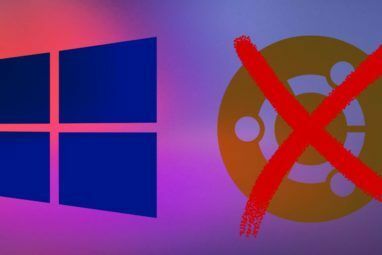 What's the Difference Between Ubuntu and Ubuntu-Based Distros? Linux Mint and elementary OS are both popular Linux distros based on Ubuntu, but aren't the same as Ubuntu. If you're new to Linux, this distinction can be confusing. Read More . Linux Mint is an example of this. But there are also official variants, known as “flavors”. Let’s take a look at each one and decide which might be the best option for you. 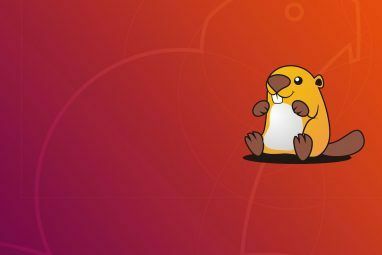 This is the standard version of Ubuntu Ubuntu: A Beginner's Guide Ubuntu: A Beginner's Guide Curious about Ubuntu, but not sure where to start? Everything you could possibly need to get started with the latest version of Ubuntu is right here, written in easy-to-understand, plain English. Read More , the edition that Canonical—the company behind Ubuntu—actively develops. Community members outside of the company create and maintain the other flavors. When an app says it runs on Ubuntu, this is the version it means (though the software will likely still run on any flavor or distribution based on Ubuntu). Standard Ubuntu is also where you find various elements of the Ubuntu brand, noticeable in desktop wallpaper and icons. In the past, it has been home to Unity, the Ubuntu Software Center, Ubuntu One, and other software from Canonical. Standard Ubuntu uses GNOME, a desktop interface that relies on an activities overview for launching apps and switching between windows GNOME Explained: A Look at One of Linux's Most Popular Desktops GNOME Explained: A Look at One of Linux's Most Popular Desktops You're interested in Linux, and you've come across "GNOME", an acronym for GNU Network Object Model Environment. GNOME is one of the most popular open source interfaces, but what does that mean? Read More . The experience heavily emphasizes searching for the programs and files that you want. GNOME is also the default interface you find in other prominent Linux distributions, such as Fedora. Kubuntu uses the Plasma desktop, which comes from the KDE community. This interface has the distinction of providing arguably the most customizable experience found on any desktop KDE Explained: A Look at Linux's Most Configurable Desktop Interface KDE Explained: A Look at Linux's Most Configurable Desktop Interface What does Linux look like? Sometimes, Unity; other times, GNOME. Oftentimes, though, Linux runs KDE. If you're not using the erstwhile K Desktop Environment on your Linux PC, now is the time to change! Read More . Kubuntu is a great option for people who love Plasma but want access to all the software support that Ubuntu has. Kubuntu is a great way to experience Plasma in a “vanilla” fashion, one with very few changes from what the original KDE developers provide. While the Plasma desktop has a reputation for being heavy, newer releases are significantly lighter. You may find it to be faster than default Ubuntu 10 Ways KDE Is a Better Linux Desktop Than GNOME 10 Ways KDE Is a Better Linux Desktop Than GNOME Many Linux operating systems rely on GNOME, but it's worth giving KDE a try because it might just become your favorite Linux desktop. Read More . Lubuntu is a variant of Ubuntu that uses fewer system resources. This makes it suitable for older, or under-powered, machines. Alternatively, it’s a great option if you want to eke maximum power out of your machine, saving all processing power for apps and games rather than the desktop interface itself. Lubuntu has traditionally used the LXDE interface. Starting with Ubuntu 18.10, it will transition to LXQt. Both are lightweight options, but the latter is more modern. LXQt developers use the Qt programming toolkit, the same used to create the Plasma interface. GNOME and most others on this list use the GTK toolkit instead. Prior to Lubuntu, Xubuntu was the go-to version of Ubuntu for people in need of a lighter desktop. Xubuntu remains a good alternative option if you’re using an older PC. You may also prefer Xubuntu if you aren’t a fan of the animations and design conventions found in many other desktops. Xubuntu uses the Xfce desktop environment Xfce Explained: A Look at One of Linux's Speediest Desktops Xfce Explained: A Look at One of Linux's Speediest Desktops If you've recently switched to Linux and are finding things a bit slow going, you probably need a lighter desktop environment. One good option is Xfce. Read More . Xfce utilizes many of the same apps and components found in GNOME, but with less overhead. Xfce is one of the older interfaces available for Linux, so you can expect a mature and stable experience. Yet with relatively few developers, major updates and new features are slow to arrive. Xfce today isn’t all that different from the Xfce of ten years ago. 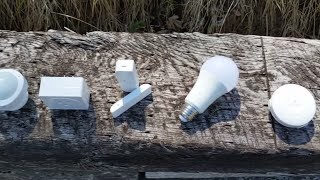 Budgie is a relatively young interface born out of the Solus project What Is Budgie? The Linux Desktop Environment That Feels Like a Chromebook What Is Budgie? The Linux Desktop Environment That Feels Like a Chromebook Of the many desktop environments available for Linux, the increasingly popular Budgie desktop stands out for its simplicity and similarities to Chrome OS. Read More . Ubuntu Budgie is one of the most well-known distributions that use this desktop environment. Budgie’s developers have taken some inspiration from Chrome OS and mobile devices. The interface is great if you want something that feels traditional but doesn’t look like something that people used on computers two decades ago. Ubuntu Budgie may undergo substantial changes in the near future, as the developers are switching the interface from GTK to Qt. Most flavors offer an alternative to standard Ubuntu. Ubuntu MATE is different in that it provides a taste of how Ubuntu used to look. Installing Ubuntu MATE today is a lot like using default Ubuntu back in 2010. That’s because MATE was born at a time of big transition in the Linux world. GNOME redesigned everything with the release of version 3.0. Canonical decided to take Ubuntu in a new direction with the creation of Unity. MATE offered a way to continue using the GNOME 2 interface that many people had come to love MATE Explained: A Look at One of Linux's Most Enduring Desktops MATE Explained: A Look at One of Linux's Most Enduring Desktops Unlike commercial operating systems, Linux lets you change your desktop environment. One of the most popular is MATE, but how good is it, and should you install it on your Linux PC? Let's find out. Read More . MATE hasn’t changed much since those days, but that makes it a great distribution to throw on an older PC. Each flavor has something that makes it stand out, but Ubuntu Studio is the only one whose interface is largely irrelevant. This variant is all about media creation. Don’t know what tools you need to edit images, produce audio recordings, slice video clips, and render 3D models? Ubuntu Studio comes with these apps pre-installed. This includes more specialized apps, such as the Hydrogen drum sequencer and DVDStyler. Like Xubuntu, Ubuntu Studio uses the Xfce desktop environment. 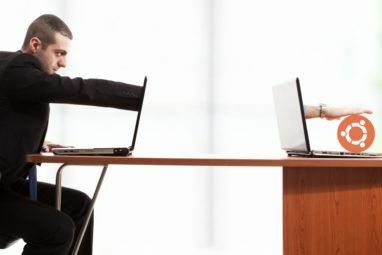 This way your PC can concentrate resources on the task at hand rather than window animations. Ubuntu Kylin is the one flavor that targets people of a specific country. Canonical, China’s National University of Defense Technology, and community members have collaborated to create a distro tailored to the Chinese market. The default interface isn’t GNOME. It’s based on MATE, with a theme that currently seems akin to Windows 7. Features include built-in Chinese language support, the Chinese calendar, and Ubuntu Kylin’s own software center. Which Flavor of Ubuntu Is Right for You? I’ve used several Ubuntu flavors over the years. Xubuntu was the first Linux distribution I ever installed. Kubuntu provided me with my first taste of the Plasma desktop. Standard Ubuntu, ultimately, was the Ubuntu I used most of all. At the end of the day, with the exception of Ubuntu Studio and Ubuntu Kylin, which flavor of Ubuntu you prefer comes down to which Linux desktop environment you like best Which Linux Desktop Environment Best Suits Your Personality? Which Linux Desktop Environment Best Suits Your Personality? What kind of computer user are you? Do you leave icons scattered across your desktop? Do you prefer to work in one uncluttered application? Let's find out which Linux desktop environment suits you best. Read More . Explore more about: Budgie, KDE, Lubuntu, LXDE, Ubuntu, Ubuntu MATE, Xfce. What about provinding some useful data such as speed becnhmarks, a comparison of features or memory usage? It's been a while since I've been in Linux but I preferred Mate and LXDE. I'm interested in how LxQt will pan out though! Why limit yourself to only 5, 6 or 7 different desktop environments? LinuxBBQ comes with 76 desktop environments and window managers. I personally am committed to one desktop environment, Mate. If Mate would fold I would go to Cinnamon. I would still be using Gnome if they hadn't screwed up, but after Gnome 3 I switched, loved Gnome 2. hated Gnome 3. To each his own, one reason to use Linux is choice.